It seems likely I will find myself on the big island mid February. 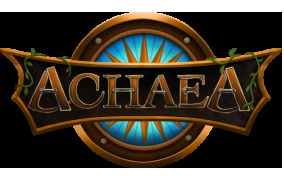 Due to the remote location, I really hope that I can schedule a meetup with any Achaeans! I do not have the dates yet, alas, but I am 95% certain I will be there. Let me know if you're in the area so we can enjoy one another's company! i don't live on the big island, but if you pass through oahu and availability works out, i will make time. Ah man I lived on the Big Island a couple years ago. If you will be in the Kona region I know some cool spots to check out if you'd like. it is now a certainty that I will be in Hawaii mid February. My production was nominated to attend the festival for KCACTF. Apparently I don't understand how this state works. I will be on Honolulu for the weekend of Valentines day, which is to say the 10th through 14th or so of February. I will have some obligations for festival duties, but I'm sure there will be at least one day I'm available. I'll be staying quite close to the University, but I really have no concept of distance or travel time around there, since I've never been. @Ellodin are you near that area? What is the cost to travel from Honolulu to Oahu? Honolulu is a city (maybe the city, depending on your opinion of what a city is) on the island of Oahu. There are a few different universities, but assuming you mean UH Manoa, I'm very, very close to there. Walking distance for me. I'll surely be here during that time.